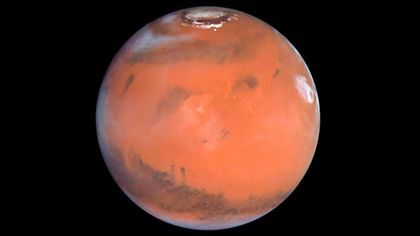 It’s Getting Crowded Round Here – Indian Probe Reaches Mars! It cost India less than three-quarters as much to send the probe to the red planet as the US spends to build one stealth fighter—which can only fly 1700 km before needing to gas up. Compare that to India’s econo-craft which made it 670 million km on a single tank. 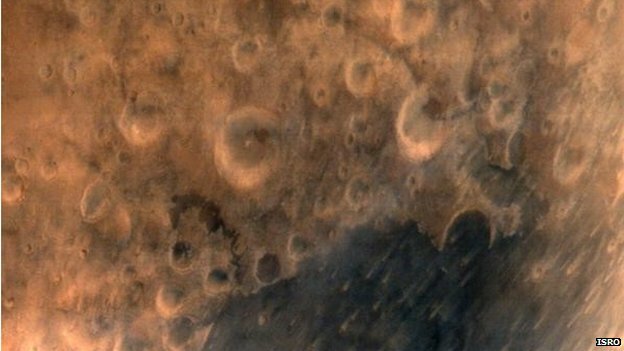 The probe, called Mangalyaan (meaning Mars craft in Hindi) is already taking shots of the Martian surface. China’s Jade Rabbit Moon Rover may have touched hearts around the world…now the Americans are taking the next step in the space game. The USA’s MAVEN robotic probe may not have the personality that made Jade Rabbit so popular, but its mission is no less important. The probe completed final braking on Sunday to slide into its orbit around the red planet. The plan is for MAVEN (Mars Atmosphere and Volatile Evolution probe) to examine the planet’s upper atmosphere in order to help us understand how the solar wind has been stripping away atoms and molecules for ages. It’s getting weird again….Seems like the past twelve months have brought us more than the usual number of oddball fossil finds, each of which is making scientists reexamine their dinosaur assumptions. This time the earth-shaking find is a Spinosaurus. Scientists are calling it the biggest dinosaur predator ever found—some 9 feet longer than a T Rex. And even weirder, it didn’t hunt on two legs. It’s the only known quadrupedal carnivore. So, it’s huge and getting around on all fours—now for the bizarre…It had a 7 foot high bony sail on its back and spent much of its time in the water feeding on sharks, crocodiles and fish the size of Volkswagen Jettas… And, oh yeah, it could swim and had nostrils on top of its skull. Yeah, I’d say that might cause a bit of a rethink. There’s never been anything else like it. Meanwhile, in other breaking news—Mammals existed 40 million years earlier than previously thought. 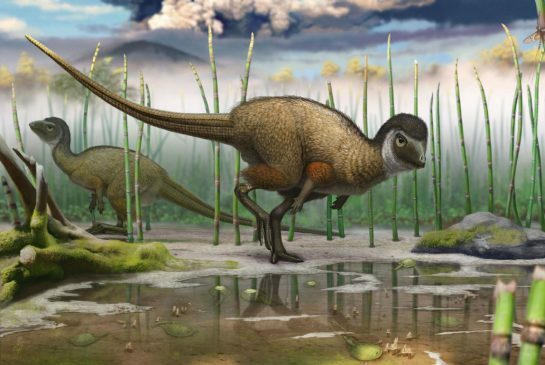 Siberian dinosaur: fuzzy or feathered? A very weird dinosaur found in Siberia reveals that it’s possible that more dinosaurs than previously thought had both scales and feathers—not just the ones who ended up evolving into modern-day birds. Several hundred of the 140 million-year-old weirdo dinos died and were quickly buried in the sediments on the bottom of a lake. The unique conditions excellently preserved their remains—even their skin. 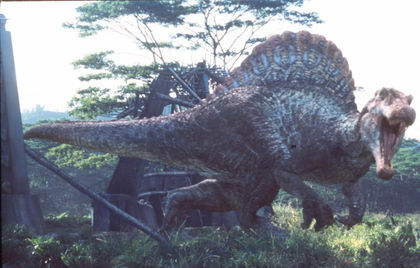 And paleontologists say that the skin is made up of three different types of scales as well as three kinds of feathers. Kulindadromeus zabaikalicus was part of the dino family that includes more famous names like about stegosaurus, ankylosaurus, and triceratops. All of them were previously believed to be scalely. But now scientists have to reevaluate. The Kulindadromeus was one and half metres long, walked on two feet and had feathers…. maybe his relatives had a little bird in them as well.